Bulk bins are awesome! You can buy as little or as much as you want, the prices are typically cheaper than packaged items, and it saves on packaging and waste. What’s not to love? I tend to get overly excited when I see that a store has bulk bins. It might have something to do with my slight obsession with trail mix, dried fruit, and oatmeal, but we’ll save that story for another time. There are several organic markets near me that have bulk bin sections and I always wonder which place has the cheapest prices, best selection, etc. I did a little investigating/note taking and decided to share my findings with you all. Good Foods Grocery: Two locations, one in the West End and in the Stony Point Shopping Center. I did my research at the latter. I looked at the prices for staple items that people tend to buy often (raw nuts, oatmeal, beans) and a few extras like wheatberries, nutritional yeast, and raisins. All items priced where organic, even though a couple of the locations carried both organic and conventional bulk items. As you can see, Whole Foods had the cheapest price on the most items, but Ellwood’s prices were pretty comparable and they were cheapest on quite a few items as well. Unfortunately, Good Foods Grocery is the most expensive, although I must say they have the best selection with many more items (sugars, flours, dried fruits, etc) that Ellwood Thompson’s and Whole Foods simply do not carry in their bulk bins. It makes sense that the prices would be this way. Due to economies of scale, Whole Foods is able to provide cheaper costs whereas the two local markets are only purchasing for one or two locations and don’t get such deep quantity discounts. 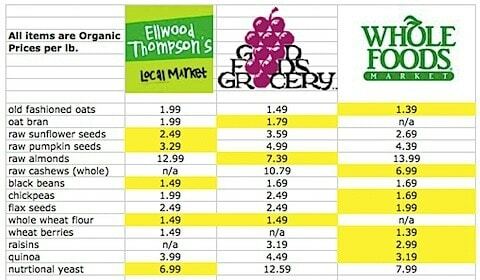 Although, it makes me happy to see that Ellwood’s (the store I can literally walk to from both my home and work) has prices that are quite competitive with Whole Food’s and in come cases cheaper! 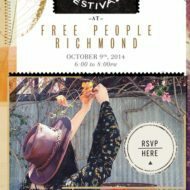 So there you have it Richmond – Whole Foods has the cheapest bulk bin prices in RVA, Ellwood’s prices are awesome too, and Good Foods Grocery has the best selection. If you’re looking for an obscure “health food” item – say oat flour or sucanat, hit up Good Foods as they will most likely have it in the bulk bins. I hope this little experiment was somewhat helpful to you. If you’re a non-local reader, have you ever compared the bulk bin prices in your area, where the results similar? I’ve never compared prices, though. I should! 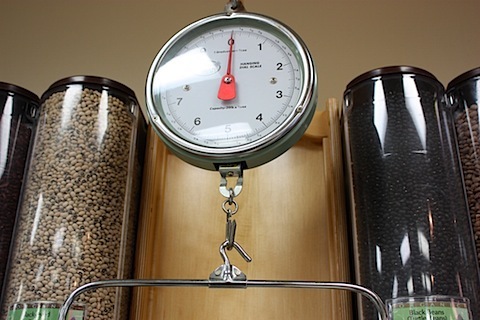 We only have 2 small local health food stores with bulk items, but it would be worth it to check! Great post, Britt! I actually have a similar post brewing! Thanks for reminding me, I need to start doing my research! i know what u mean, ive expressed my secret love for bulk bins too. <3 its just so much cheaper than the bagged varieties!!! I need to compare prices but I find in general bulk bins are much cheaper than pre-packaged, I love them! 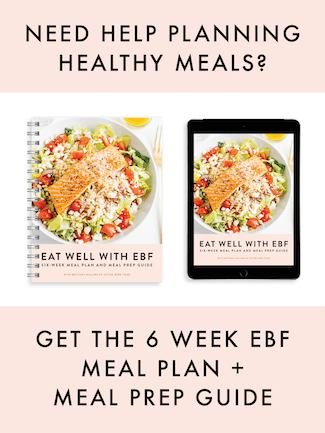 i remember when the whole foods first opened, i jumped for joy – the gayton good foods is all i’ve had for years, and it’s pretty pricey for most things i buy! I’ve always wanted to do a comparison so I love that you did it for me. I’m a huge fan of the bulk bins. The whole foods in my new neighborhood has a pretty good selection but there are still things I wished they carried that they don’t (recently that was grits and vital gluten) but overall they carry a great amount of stuff. I also love the whole foods that have bulk spices as well. I recently bought a single whole nutmeg for only 15 cents. It was lovely. I love bulk bins too. I found that Trader Joes actually has the best prices on nuts. I can’t resist making my own trail mixes now. I so wish I had a WF closer than 30 miles from me. 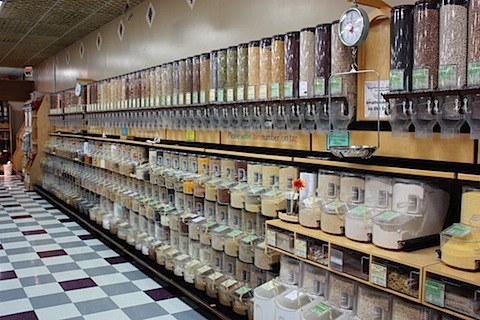 Berkeley Bowl Marketplace has the cheapest bulk bins in the Berkeley/Oakland (California) area. Enjoyed your piece. Well done. Great picture too! 1) Keep in mind that prices on organic bulk items fluctuate often and with big jumps, both up and down in price. Not sure why you did not post our organic raw almond price, but it is presently $7.39 per pound – way cheaper than WF or ET. 2) You chose not to report non-organic bulk prices. Price fluctuations on non-organic bulk items are much more stable. Also, non-organic bulk often out sell the organic by two or three times. An example is flaxseeds, where the regular price is $1.39 per pound, as opposed to $2.99 per pound price for organic. Thanks so much for reading and for pointing out that I missed the almond price. I actually had it written down but thought I had it incorrect because it was so cheap. I have fixed that! I didn’t realize that organic prices fluctuated so much – thank you for that tip. PS- I love your store. Bulk bins are awesome! =) I buy so many items this way!